CONCERT ADDICT CHICK: The Sasquatch! Music Festival 2015 Lineup Announcement! The Sasquatch! Music Festival 2015 Lineup Announcement! The manner in which Sasquatch! 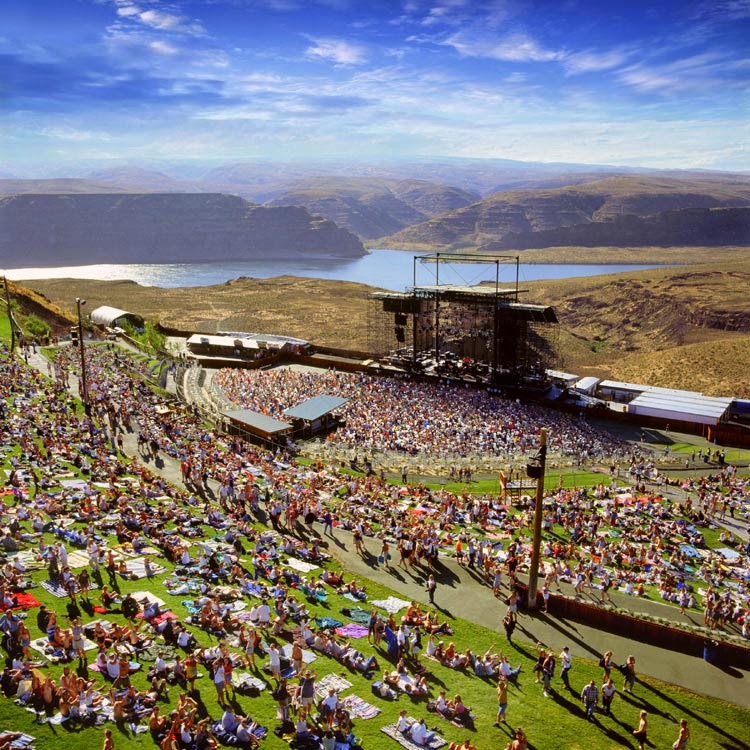 Music Festival announced their whopping 4-day, 2015 Memorial Day weekend lineup last night makes me wish more than I ever that I was currently gainfully employed so I could justify splurging on another unforgettable journey to The Gorge Amphitheatre in Washington!! The lineup is radical! Sasquatch! Music Festival 2015 Lineup Announcement from Sasquatch Festival on Vimeo. 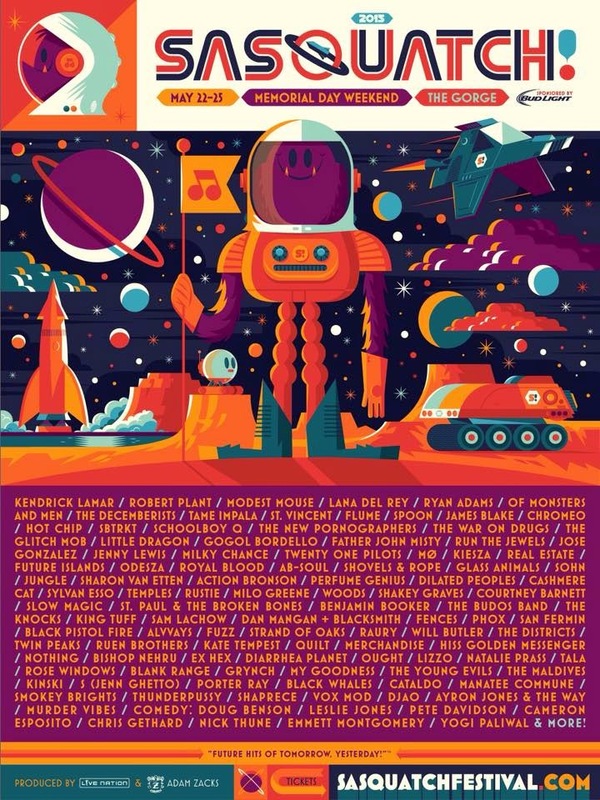 I attended Sasquatch from 2010-2013 but, last year, when the festival attempted to expand to 2 separate weekends (Memorial Day & 4th of July) with completely different lineups each weekend, I decided to take a year off & see how the double-fest attempt turned out. The 2nd fest ended up being canceled in late March because the fans were not "embracing" the 2nd weekend addition aka ticket sales were unexpectedly low. For those of you who ARE able to make Sasquatch! happen, I urge you to do so. As much as I love Coachella year after year, Sasquatch remains my most beloved music festival of all-time. See the wallpaper on this page to catch a glimpse of the wondrous beauty that is The Gorge. It's the most GORGEous live music venue imaginable! !